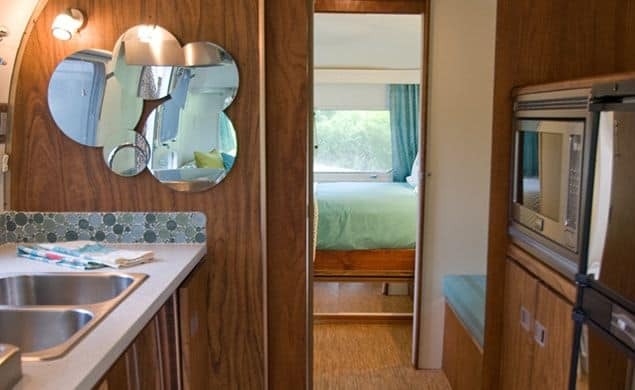 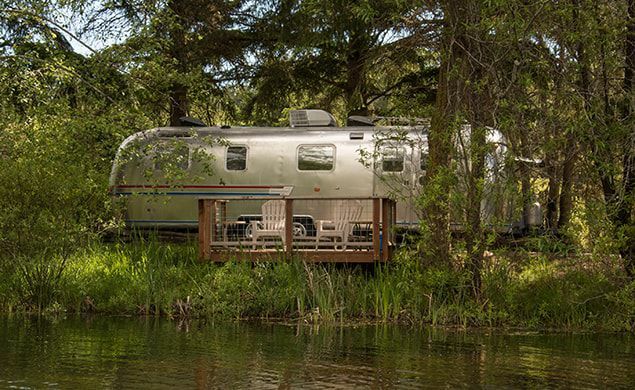 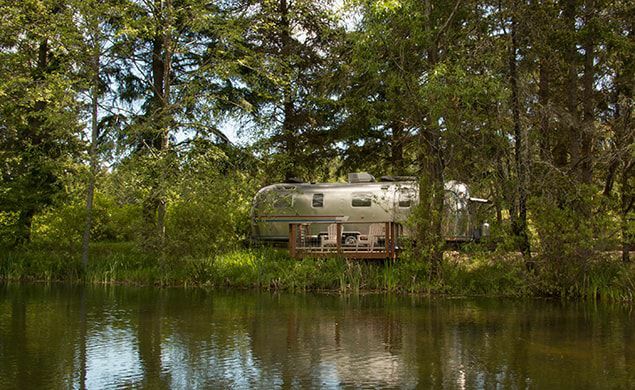 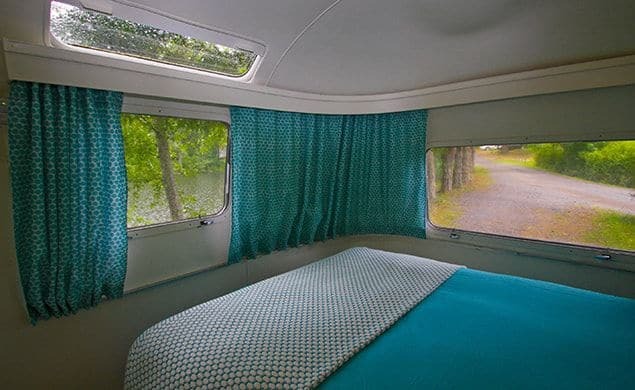 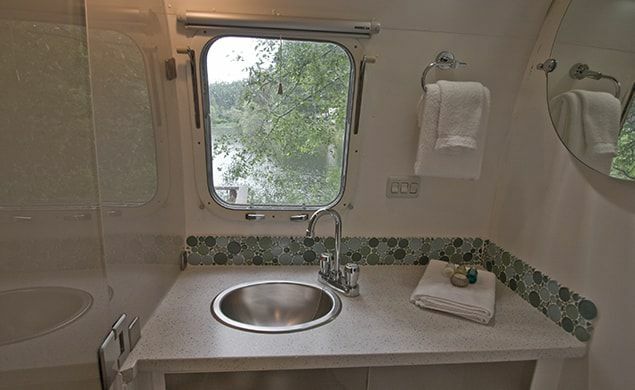 Stay in a fully renovated 1978 Excella Airstream trailer for a fun glamping experience with a lakefront view. 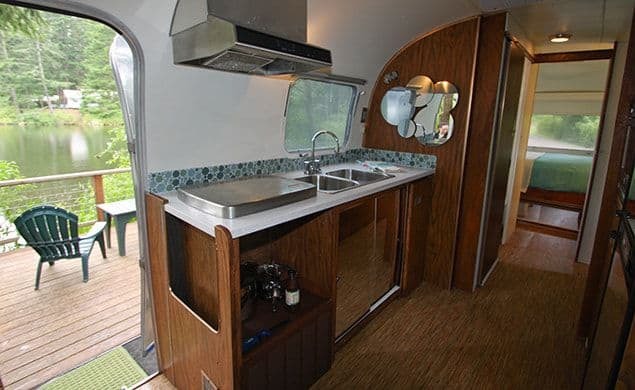 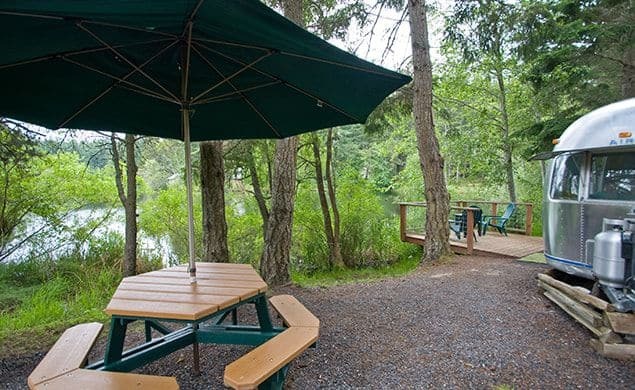 This retro accommodation offers a double bed and bath, kitchenette with cooktop, refrigerator, microwave, a pull-out sofa bed, and your own private deck atop the lake. 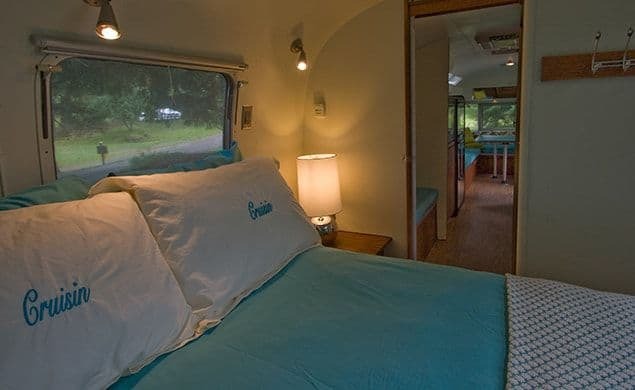 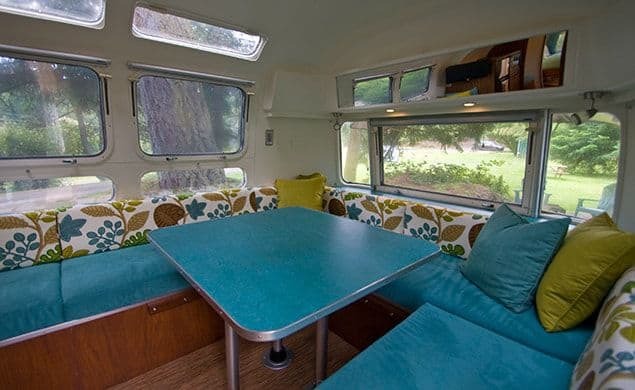 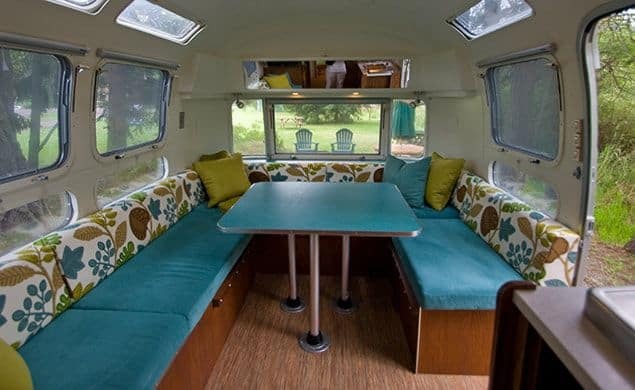 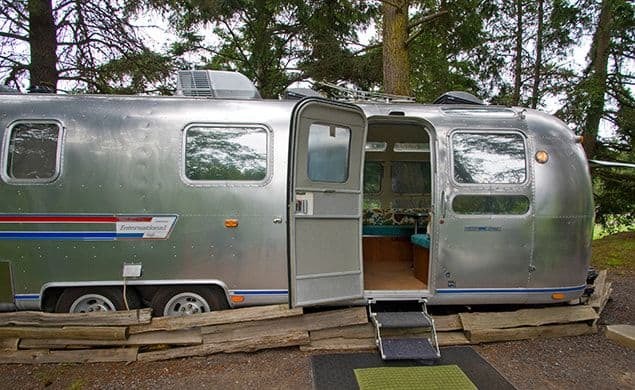 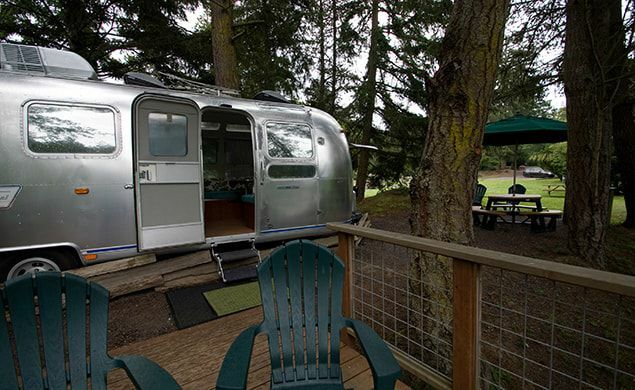 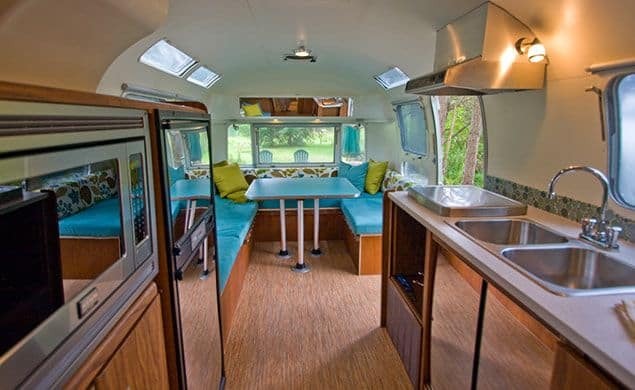 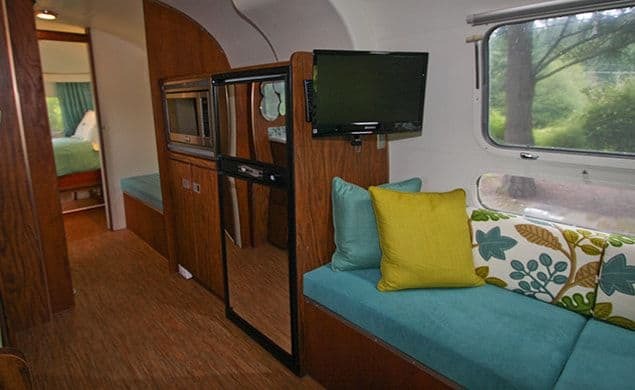 Learn more about retro airstream camping or make a reservation.